World-renowned artist Romero Britto designed an eye-popping limited edition Moodd for Quinny. Britto: “I love to bring art to the lives of children. 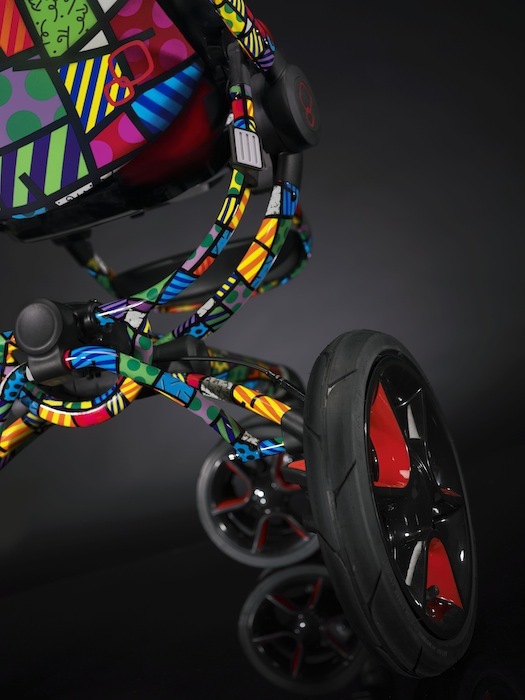 Full of bright colors and playful patterns, this stroller adds color wherever it goes.” With this bold design, Quinny adds an inspiring edition to the fashionable range of Moodd strollers. For both parents and kids, the artwork will brighten their day and stimulate their creativity. Every city has a unique personality. It is defined by the people, the buildings, the noises and the lights. Most of all, each city is defined by its color. In each street one can find elements that set the tone: brightly colored facades, street art, painted walls. In a similar way, the art of Britto is defined by his Brazilian roots and specifically the streets of Rio de Janeiro: eye-popping, vibrant and very much alive.